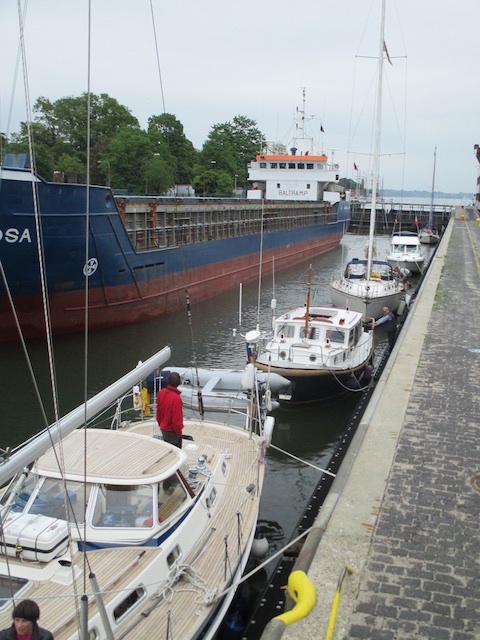 The pontoons inside the Kiel Canal are extremely low, so a side ladder is almost a must when tying on the boat inside the Canal. This is a prolonged week-end cruise. 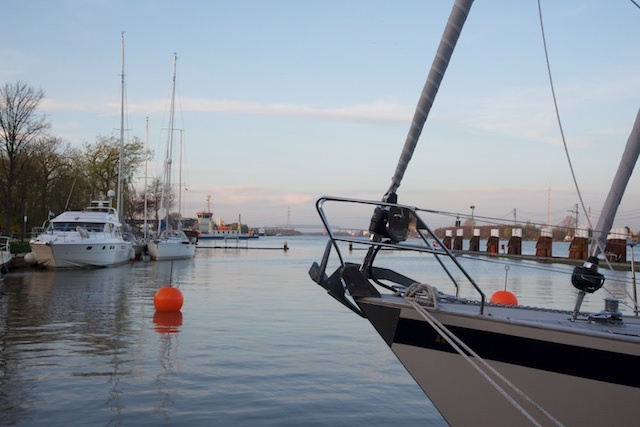 Leaving Laboe close to Kiel on early Saturday monring, we will motor the short distance over to the entrance to the Kiel Canal and enter together with the large freighters. It’s quite thrilling to through the Canal and sharing the same with all the commercial shipping. The Canal is some 50 miles long, so one could do it in one day. But we will take it easy and most probably stay overnight in Rensburg or Brunsbrüttel. 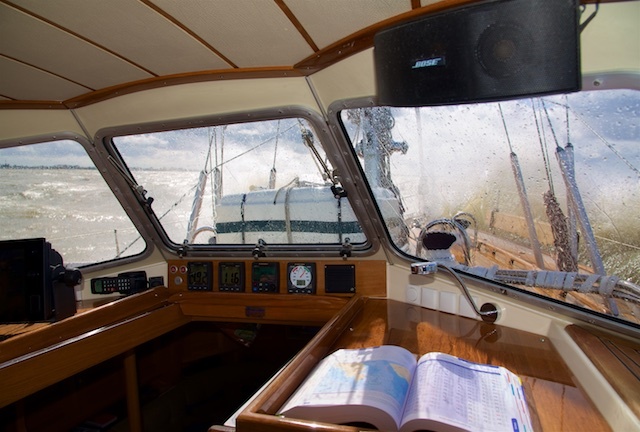 On the Sunday we will lock out into the North Sea and sail the short distance over to Cuxhaven to arrive on Sunday evening for a great meal in one of my favourite restaurants there! Entering the Kiel Canal behind some large freighters. 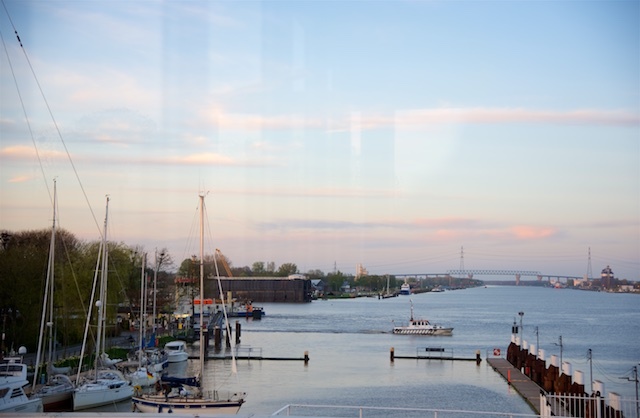 Inside the Kiel Canal, which in German is called “Nord-Ostsee-Kanal” (previously Kaiser Wilhelm Kanal) connecting the Baltic with the North Sea. 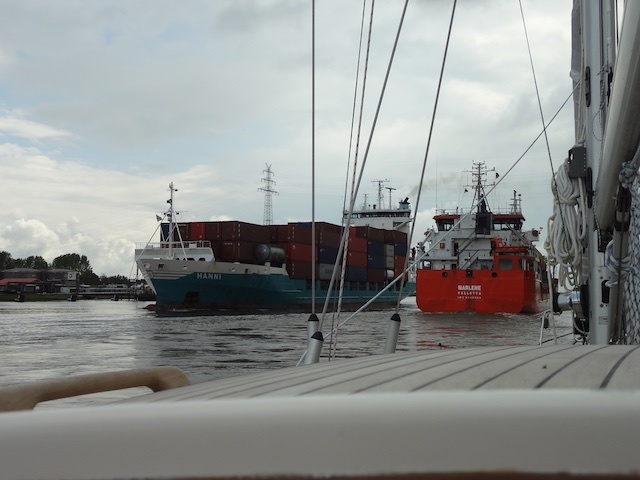 Sharing the exciting Kiel Canal with all the freighters. The marina of Brunsbüttel at the western end of the Canal. One more lock to go (there is one in each end). 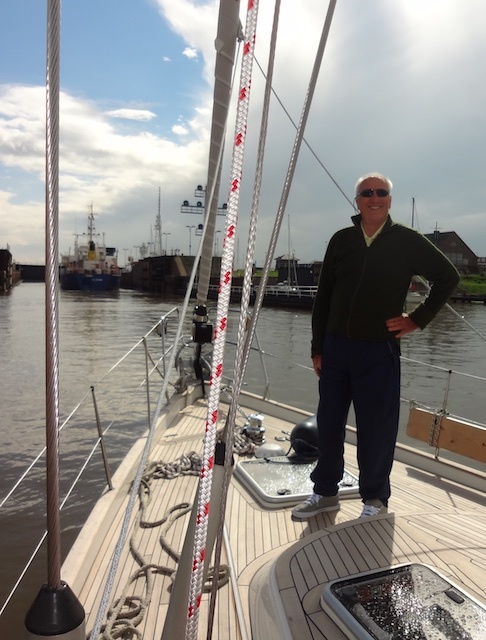 The last night before getting out into the North Sea the following day. Wind over tide in the River of Elbe outside the Kiel Canal. 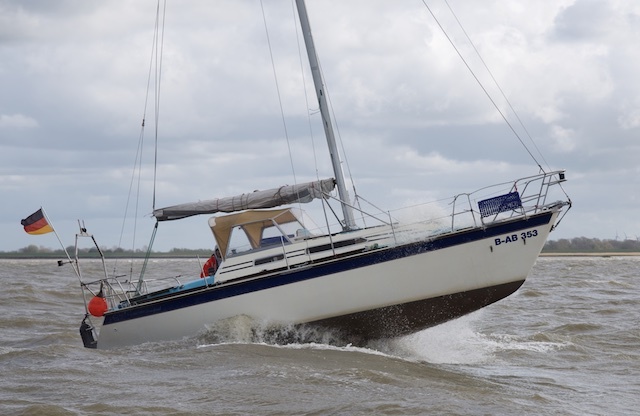 Making way against the waves but with a nice 3 knots current pushing us quickly towards Cuxhaven. Overtaking another sailing boat making fast way out of the Elbe heading for the North Sea.